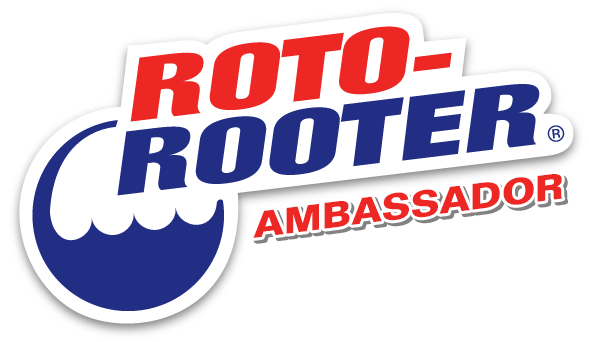 This is my third post as a Roto-Rooter Ambassador. Today, I want to talk to you about clogs. Let me just say clogs are not fun, especially when it's in your toilet. That is when it can get super messy. As someone, who has dealt with a clogged toilet a few times in my life it is such a pain. I have also had clogged drains in the bathroom, the kitchen and the tub. I thought I would share with you some things you should never let go down the drain. If you do, Roto-Rooter Plumbing Line can help you unclog your drain. Pasta- even with a garbage disposal it can clog the drain because of all the starch that clumps together. Throw away extra pasta in the trash. Onions- I am not exactly sure why but onions can clog drains when you are using a lot of them. Using the trash or adding the onion peels to a compost pile would be a great idea. Wax- It will coat the drain making the pipes smaller or even will clog the drain completely. Grease- It is similar to wax to where it will coat the pipes. If you have a can or the foam tray from your meat use that. Sometimes I just put a couple layers of paper towels on a plate and pour it on there and let it harden and throw it away. Hair- I know you can lose hair while you are taking a shower or brushing your hair. Try to plug the drain or remove the hair from the sink. You will be surprised how easily it will clog over time. Paper- Sometimes little bits of paper from wrappers will end up in the sink and go down the drain. Pet Food- If your animals like to put their food in their water, be careful not to dump it out in a sink. I always flush it down the toilet. Cat litter- I know that one sounds weird but you would be surprised what your sweet kitties can get litter on. I am sure adults know not to do this, but our kids might need a reminder. Toys- Some toys are really small and can fit down the drain. You don't want to let your child's toys end up in your drains. It could get lodged and your child loses their toy. Jewelry- A lot of people take their rings off when they wash their hands or do dishes. A few of them might end up knocking their rings in the sink and they end up down the drain. Thankfully, it's not too difficult to remove a piece of pipe to retrieve your item. It can be really messy so keep a big bowl or a small trash can over the pipe because there will be water in the pipes. You may even want to turn the water off to do this too. I hope this post helps you keep your drains clear of things that don't belong in them. Check out the Roto-Rooter plumbing line for your hard clogs and to help protect your septic tank.